This work started very small as a wax maquette and had a closed pelvis. 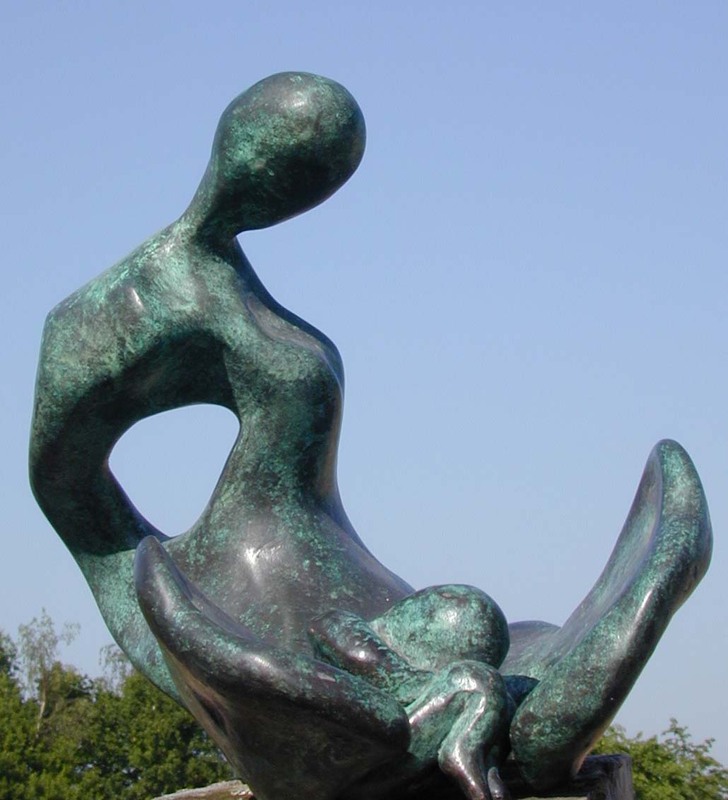 It certainly displays the influences of Henry Moore but who better to get inspiration from?! I had the original cast in bronze by the Burleighfield Foundry which sadly is now no longer. Enlarging it, I made another original wax which I had cast, but by this time I had opened the pelvis and placed a baby as a separate piece. The baby can rotate to any position in the pelvis which has now opened and there is a widened pubic synthesis. This baby is about to be born. In early 2015, I decided that I must have some enlarged works made to allow me the possibility of having work shown in sculpture parks. Over the previous 27 years, I have only made work to commission. You can see here and in the accompanying video the basis of another enlargement process with very accurate measurements and slices made on a resin copy of the original maquette which are all mathematically enlarged, in this particular case by 7.7 times, to make pattern drawings and then eventually an 8 foot long sculpture. The work is made in high density boat building polyurethane which, when finalised, is coated with fibreglass resin to produce a finished work. This can also be used as the pattern for taking moulds and sand casting into bronze. Many possibilities! The completed work in resin can be displayed as a work of art and the resin can have a variety of finishes to make it resemble a bronze casting or indeed a marble carving. The original maquette was a mere 12cm. The more recent version with the baby is 30cm and the enlarged version of that is 240cm (8 foot). It will be cast in bronze as an edition of 8 works by The Morris Singer Foundry.